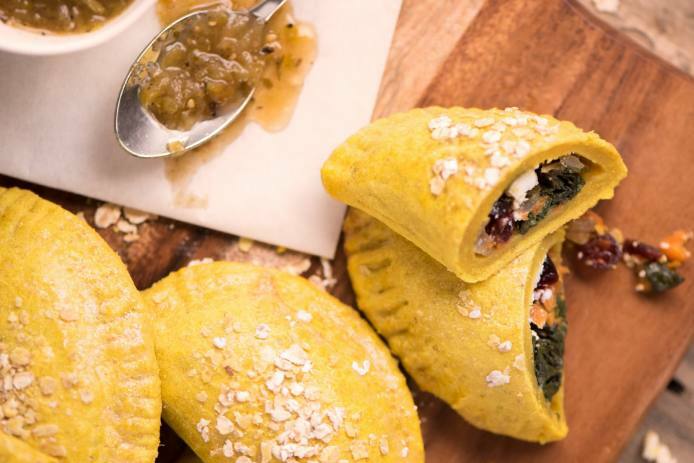 Empanadas can be filled with an endless variety of fillings – try our sweet and savory chard filling, or invent your own with whatever you find in your fridge. Recipe adapted from Chef JC Gibbs’ entry in the James Beard Foundation’s “More Taste, Less Waste” competition. Place oats in a bowl. Add enough cold water to cover and soak for 15 minutes. Drain well. In the bowl of a food processor, combine flour, salt and turmeric. Pulse to combine. Add butter and oil. Pulse until mixture looks like coarse, wet sand. Add 1/4 of the soaked oats and pulse until incorporated. Continue to add oats, 1/4 at a time, pulsing to incorporate. Pulse until dough forms a ball. Turn out onto a well-floured surface and knead lightly, adding additional flour if dough is sticky. Flatten ball of dough, wrap well in plastic wrap and chill for one hour. 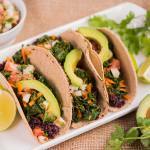 Note: Dough can be kept in the fridge, tightly wrapped, for up to 2 days, or frozen until ready to use. In a large, non-stick skillet, sauté onion in olive oil until softened. Add chard and carrot, and cook until chard is tender. Season to taste with salt and pepper. Remove from heat and stir in cranberries. Allow filling to cool completely before filling empanadas. Divide the dough in half. Keep one half wrapped while you work with the other. On a lightly-floured surface, thinly roll out dough. Cut dough into 4 – 5” circles, using a knife with a plate as your guide. Reserve any extra dough. Place a spoonful of the chard filling into center of each circle of dough. Add a couple small pieces of goat cheese to each. Brush the edges of the dough with beaten egg, then fold-over to make a half-circle, pressing with your fingers. Crimp the rounded edge with a fork to seal. Place on a parchment-lined baking sheet. Repeat with second half of dough and trimmings. Brush each empanada with beaten egg and sprinkle with oats. 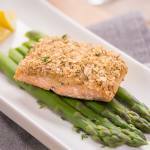 Bake immediately or refrigerate for up to one hour. Bake empanadas at 375°F (190°C) for 15 minutes, or until golden. 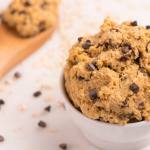 A sweet, healthy treat that is fun to make and eat! 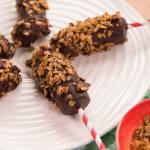 Frozen bananas are dipped in chocolate, then rolled in crunchy, golden honey-almond granola. 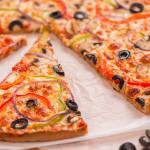 Following a gluten-free diet shouldn’t mean that you have to give up pizza! Our easy, gluten-free dough, made with oat flour, contains yeast and olive oil for an authentic pizzeria taste. This recipe makes one large, thin-crust pizza in about the same time it takes to call for delivery. The only thing better than a plate full of cookies is a plate-sized cookie! 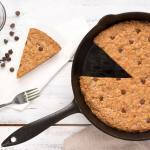 Loaded with chocolate chips and rolled oats, this crowd-pleasing giant cookie bakes in a cast iron skillet. Serve warm with ice cream.